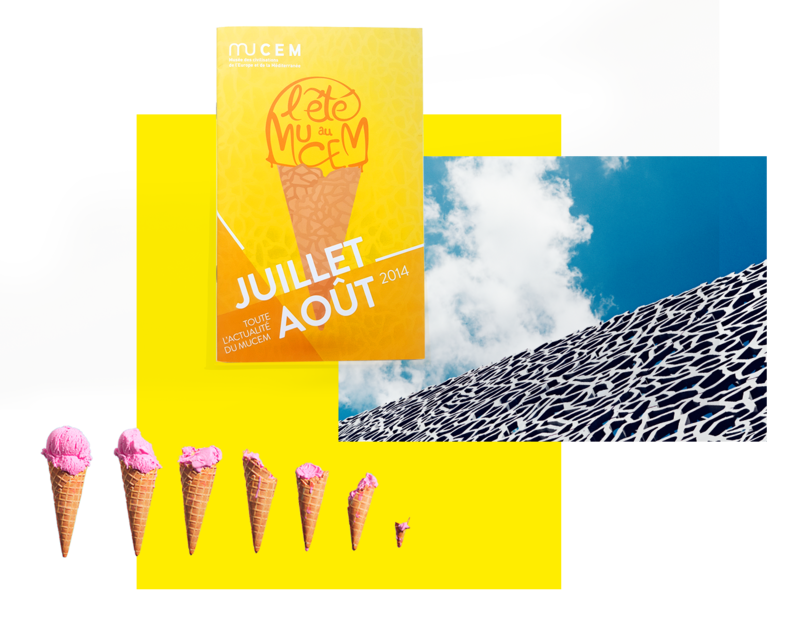 Mucem is the first french national museum non settled in Paris. Bimonthly broadcast in 500 drop-off points in the PACA region (southern France). Advertising campaigns are deployed nationally in press, radio, TV and web as well as in display throughout the department of Bouches-du-Rhône. Marseille Transport Authority, JC Decaux, various cultural media ..